I try to keep these feelings at bay, I try to smother them and not to think about them, but sometimes it’s just too hard and they boil over. The most important thing as a mother is to keep your children safe and alive. You can mess up on absolutely everything else but as long as you keep them alive you have done okay. But I didn’t manage to do that. I failed at the most important thing I was ever given to do. And so everything else I have done in my life seems pointless. Why couldnt I fail at other things but at least get this right??? Yes, each situation was different. With Thomas, I didn’t do anything “wrong”, but my body completely failed him. And with Bella I guess I didn’t do anything “wrong” either, but I didn’t do enough to protect her, to keep her safe and alive. 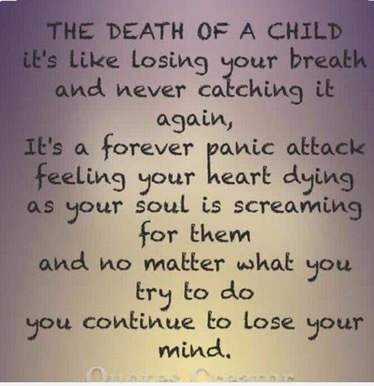 I can’t get those 2 thoughts out of my head…the first time I saw my 2 children and knew they were dead. Walking into the bathroom and seeing Bella and knowing my darling daughter was dead, that every one of my dreams and hopes was dashed in that moment. That I had failed her! And when Thomas was placed in my arms and I knew that despite every attempt I/we had made he was dead. That I had failed him too. I guess maybe all of this has been at the forefront of my mind because I attended a very special friends funeral last weekend. I have known him since the age of 8 and he sang Amazing Grace for us at Bella’s funeral. He was such an amazing support to us over the time of Bella’s death, so wise, calm, kind, understanding and gentle. A real angel on earth. And now he is in heaven with my babies. Last weekend when I was in Port Elizabeth I met a lot of his friends who I hadn’t known before. And while they didn’t know me they knew about me/us. And knew our story from my dear friend. And so there was quite a lot of talking about it and what had happened. Reliving quite a lot of it. And that was hard, hard, hard. My darling children, I have no words. I don’t know what to say. I feel lost. I am just so so sorry that I failed you both. I wish it could have been different, that I could have protected you and done better. I am so so sorry. Thank you Jami, you better than almost anybody understand these feelings. Thinking of you as I know you too have had a tough few days!! Oh Simone. *HUGS* I know just how you feel. Only you didn’t fail your children… (that’s a feeling I live with daily too, only I know I DID do something wrong. I was right there and I wasn’t careful enough…) You did nothing wrong. You do not deserve this much heartache and pain. And those visions, the vision of seeing your child dead, is not something you can ever get out of your mind. It is haunting in the worst possible way. I avoided bringing up kids this week-end and avoided mentioning Natey – mostly to avoid others getting into an awkward situation and feeling bad. But somehow NOT speaking of him felt worse than speaking of him. It’s heard to talk, but it feels better I think. I wish I could say or do something to make it better… but there’s nothing to say or do. Only that I see you. I hear you. I understand. I hurt with you. But you did not fail. p.s I am sorry about your friend too.